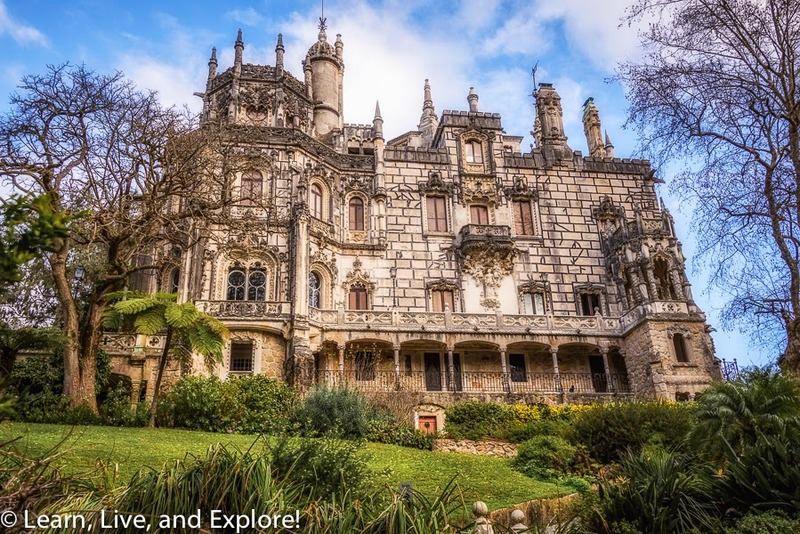 24 Hours in Sintra, Portugal ~ Learn, Live, and Explore! 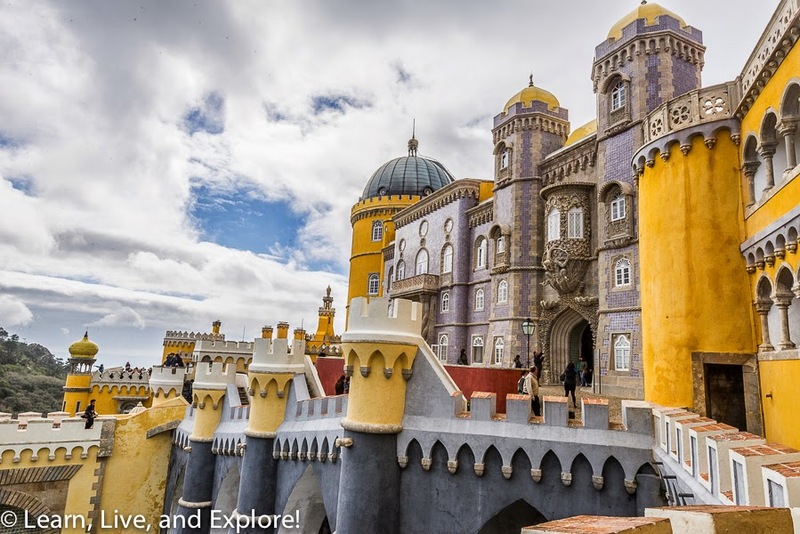 A trip to Lisbon is not complete without visiting the town of Sintra and its gorgeous palaces and estates. 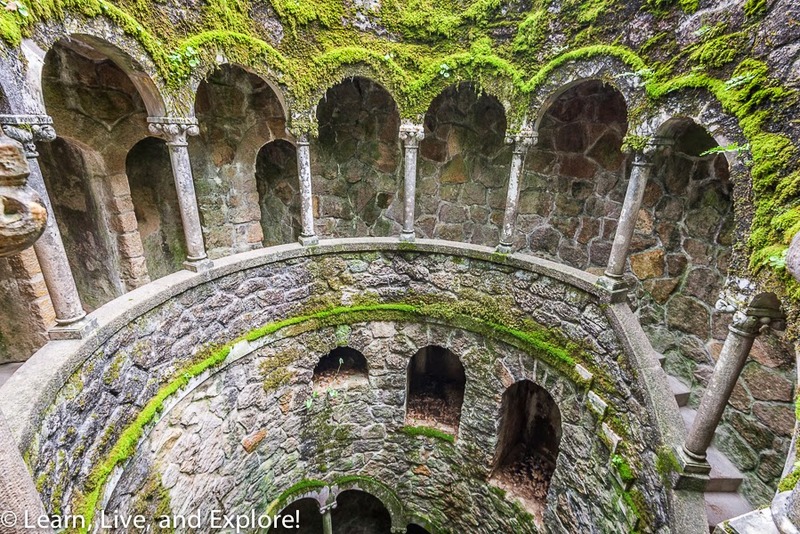 There are several options to get to Sintra, only a half hour outside of Lisbon city center. 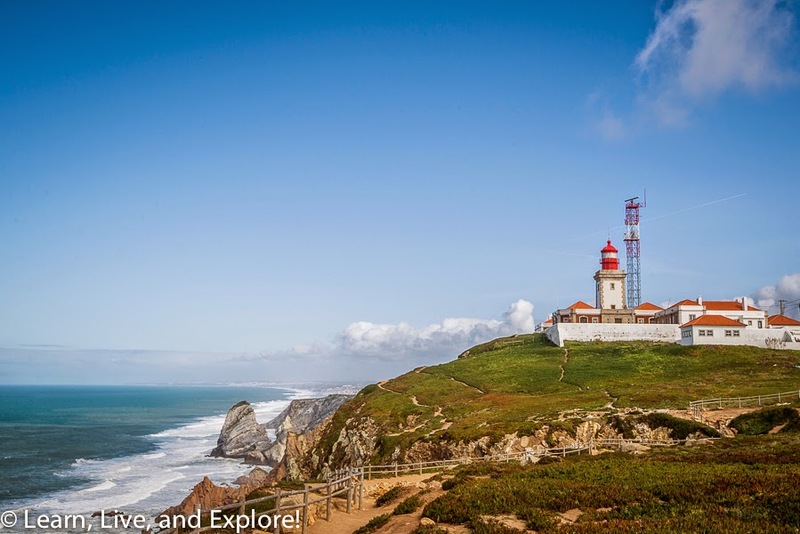 The easiest would be the train from Lisbon, then selecting from either the local bus or the Hop-On, Hop-Off red sightseeing bus. Another option would be a bus tour that originated in Lisbon. For me, I chose the rental car option, and it is not one I would recommend. Not only was there limited parking, but the roads are windy, narrow, and hilly so with a manual car it was quite a workout for my left clutch leg. With only 24 hours, I needed to be selective in which sights I visited. 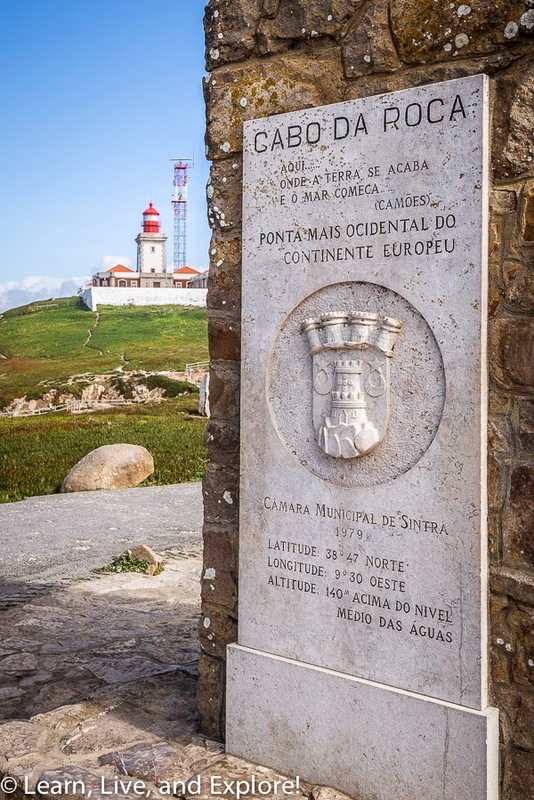 The final itinerary included the Quinta da Regaleria, Palácio National de Pena, and Cabo da Roca where you can take a photo on the western most point in Continental Europe. 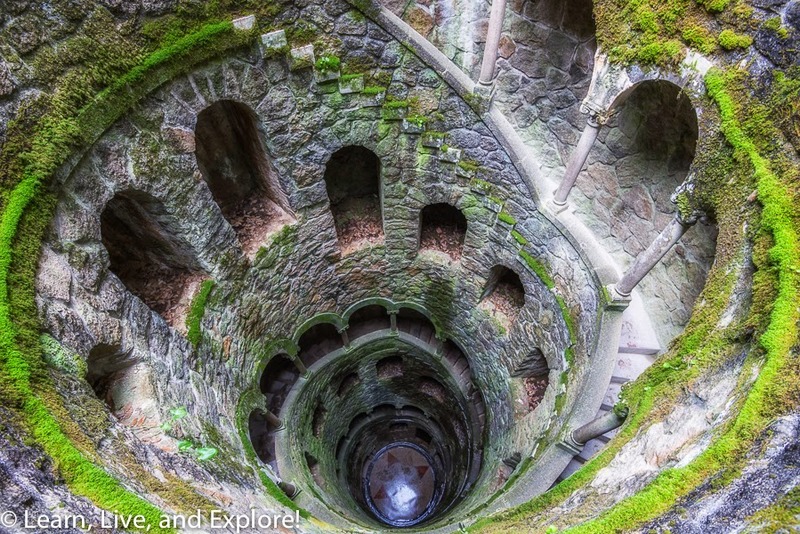 Quinta da Regaleria has been on my Pinterest bucket list for years, ever since I saw a photo of the spiraling well staircase located at the top of the property. 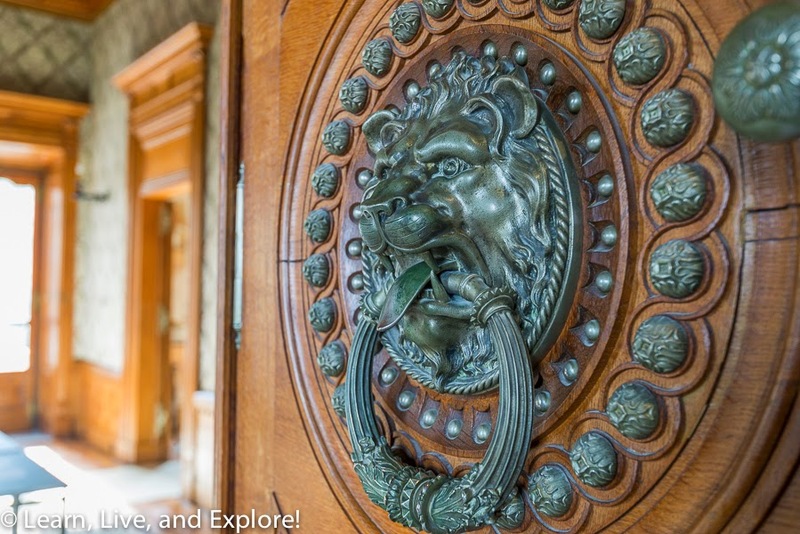 Wandering should be your priority on this estate built over the six years between 1904 and 1910. 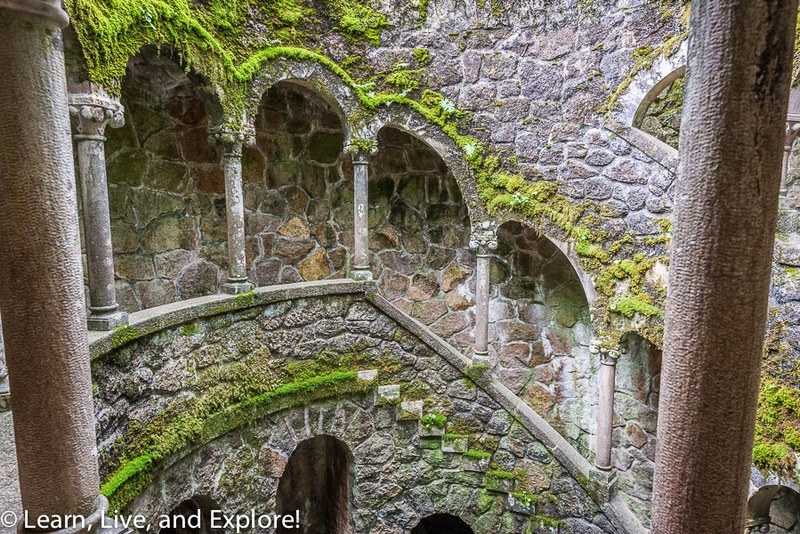 After visiting the gothic palace, located near the entrance at the bottom of the hill, and the adjacent chapel, there are many paths and tunnels you can take to explore the slopeside park with its grottoes and waterfalls, using the map provided with your admission. 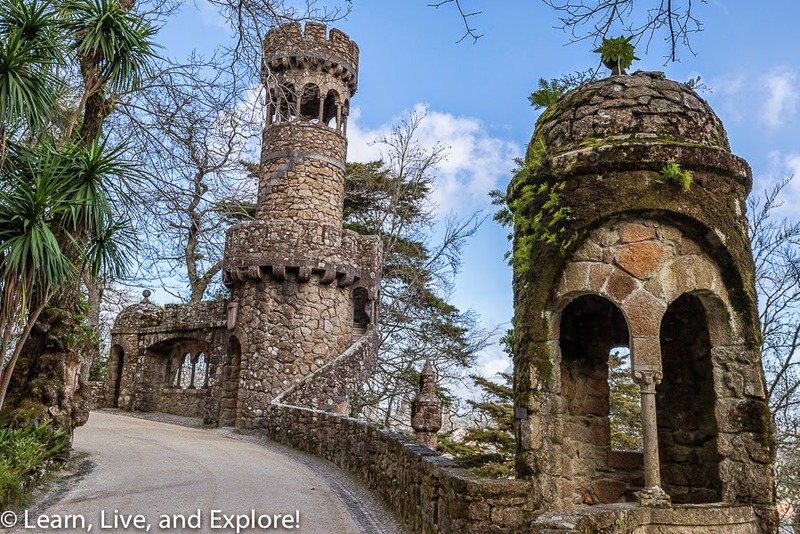 Palácio Nacional da Pena, located atop another hill in Sintra, looks like it belongs in Fantasyland at Disney. The property has a long history dating back to the middle ages as a chapel and, later, a monastery of substantially smaller scale than the current structure. 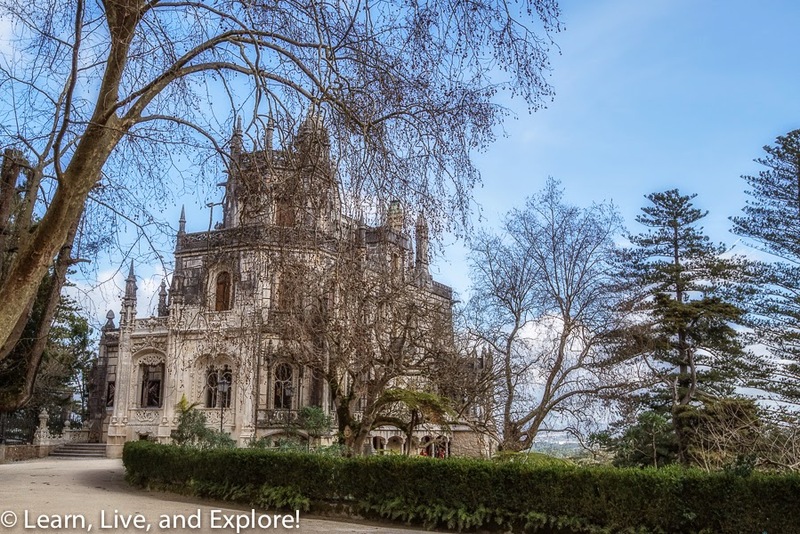 After the monastery was left in ruins from the mid-18th century earthquake in Lisbon, it was acquired in 1838 by King consort Ferdinand II to build a summer residence for the monarchy and was finally completed in 1854. It was my observation that Pena was the more popular Sintra attraction, so expect crowds and try to go first thing when it opens at 10am. 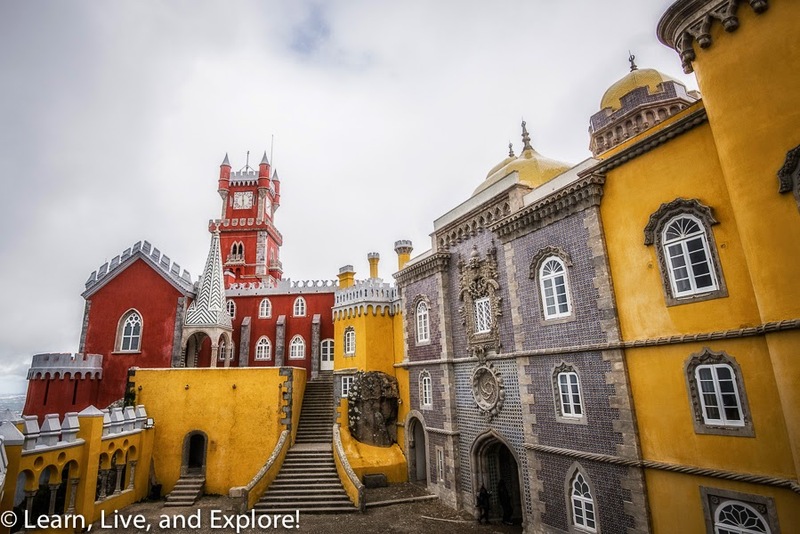 Castelo dos Mouros is also part of the Pena property, and you can buy a combo ticket for admission. 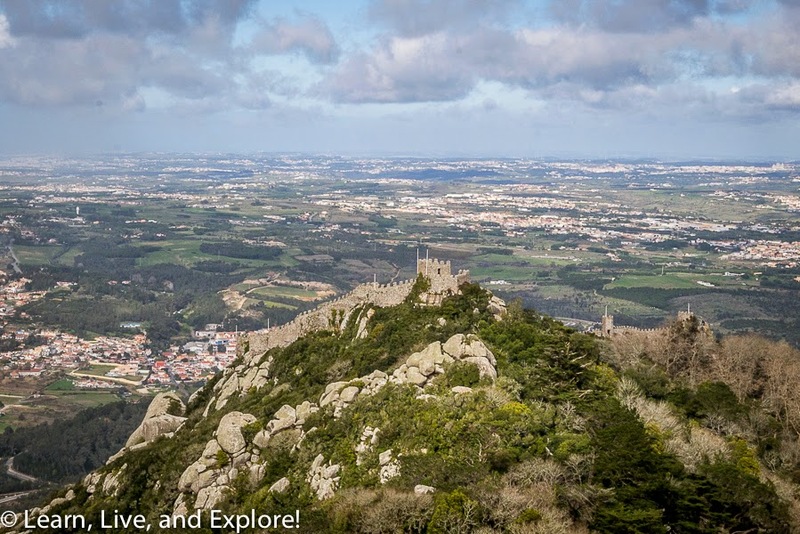 I was tired from climbing so many hills that day, so I opted to not make the additional trek over and settled for the view of the castle walls from Pena's wall walk. 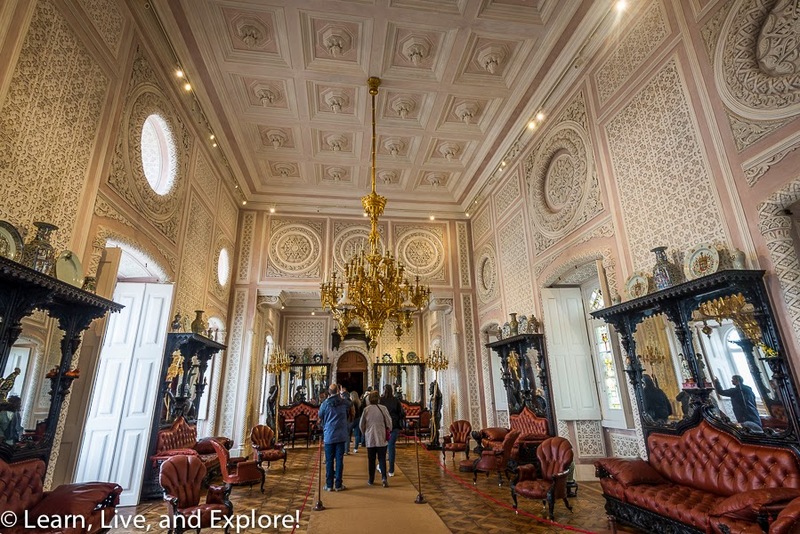 Speaking of hills, there is an option for those who want to take a shuttle from the admission booth of Pena to the bottom of the palace for 3 euros. That way you eliminate the long driveway up to the palace and are left with only the hills within Pena. The final stop of the day was Cabo da Roca on the coast. This lighthouse was a challenge to find with my horrible in-car navigation system, but Google Maps helped to finally get me there. Again, the bus loop includes this stop, and it may be an easier option. The only must-take photo here is of the sign identifying the western most point in Continental Europe. 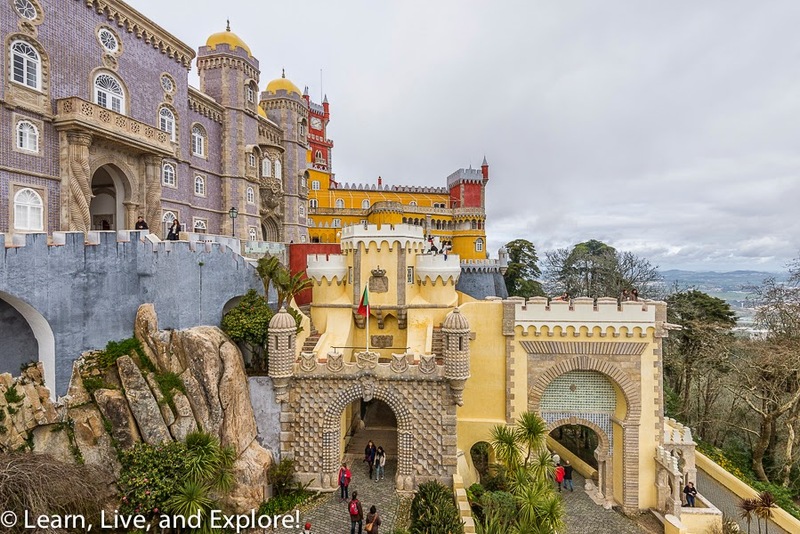 I chose to stay overnight in Sintra and was rewarded with a crowd-free town. Sintra is occupied, I observed, by large tour groups of students and visitors during the day. When they all go home, it's only a small number of tourists that remain. 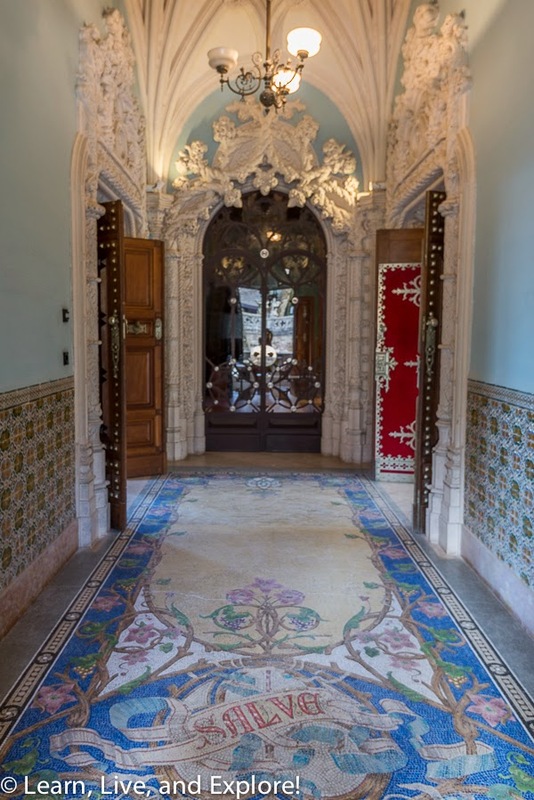 I stayed at the Sintra Boutique Hotel and was very happy with the experience. I was actually lucky to get one of their few hotel parking spots, so once again I was reminded why the car rental option is not the best choice. For dinner, I went to Romaria de Baco, a wine bar that offers only Portuguese selections and both tapas and entrees for food. The staff there was great and helped me select some tasty white wines!